Most small and medium businesses need to stabilize before they can make profits. This initial phase requires capital and may make or break a new business venture. That is why most startup owners look for funding or business loans to meet their immediate asset creation and working capital needs. Now, getting a business loan can be a harrowing experience if it is your first ever project. Indian banks are already reeling from a bad loan crisis and are particularly wary of lending to new SMEs. Plus, banks need a guarantor who will vouch for you in case of a loan default. What is the role of a guarantor? A guarantor is the surety provider for repaying a debt if or when the original borrower fails to repay the debt. He or she signs a document to that effect and hence the guarantor is contractually obliged to repay the debt of the principal borrower in the case of default. According to a Supreme Court of India verdict, the guarantor becomes equally liable for repaying a debt when a loan goes bad. Therefore, if you have made your wife or a close relative your guarantor for a small business loan, chances are that they will be dragged into legal troubles if you fail to service the liability. Furthermore, the loan contract also gives the lender the power to attach the property of a guarantor (in this case the wife) to recover the loan amount. How to safeguard your wife’s assets in advance? There are two scenarios in which a lender cannot attach the asset of your spouse in a loan default recovery case. Register your business as LLP: New businesses are run under several categories such as sole proprietorship, partnership, Limited Liability Partnership (LLP) or private limited. In case of LLPs, the assets of inactive partners cannot be attached in a loan recovery lawsuit. Set up a Parental Trust: Discretionary trusts set up at the time of a daughter’s marriage are also exempt from business loan recovery proceedings. Having one set up for your would-be wife can help minimize personal asset loss in case of a business failure. If a woman has no direct or indirect role in her husband’s business, the Married Women’s Property Act prevents lenders from attaching her belongings in the case of loan recoveries. If the husband and wife are joint holders of a disputed asset, the lender has to reimburse the wife’s portion upon liquidation of the asset. If your wife is a director in the company but not the guarantor, her assets cannot be seized by the lender. As you can see, there is a lot of hassle and risk involved in securing a business loan from a bank. The red tape, the bureaucratic process and finally the stringent terms dictating recoveries are simply not worth the trouble in this modern day and age. Switching to alternate means of business finance can save you all that trouble and facilitate fast business loans at the same time. Non-banking financial companies, or NBFCs as they are popularly known, offer instant business loans without any collateral and have a flexible recovery process that allows you a chance to settle the dues. Here are some of the benefits of applying for a business loan with an NBFC. Online application and processing allow faster business loan approvals. Money is transferred directly into your bank account and instantly available for exploiting new business opportunities. Minimal processing charges and lower interest rates reduce the payback burden on your books. Break down your loan repayments in bi-weekly or monthly installments or repay early without a worry as there are no prepayment charges. Reapply for a business loan and get the previously sanctioned loan amount instantly. These benefits, not only allow you to get loans quicker but also help your business grow faster, which means you are better equipped to face a financial blowback. Moreover, the recovery process is also very business friendly as NBFCs allow you to restructure your loans in cases of market upheavals. When you are setting up a new business, it is always a wise thing to have a comprehensive look at the business scenarios that will benefit you and the scenarios in which things can go south. 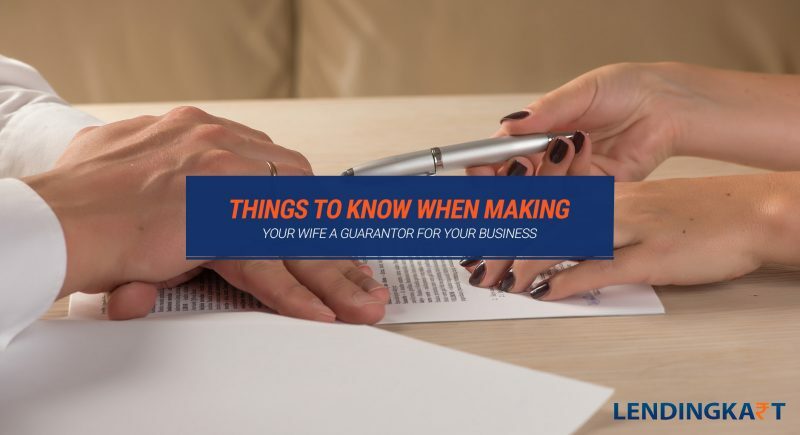 Making your wife a guarantor for your business loan liabilities is one of those things. While, initially, it may seem like a good choice if your wife has a business of her own or has significant personal wealth, you may soon realize your mistake if things do not work as planned on the business front. Thus, taking some prudent steps in advance will help you and your wife avoid simultaneous bankruptcy. Moreover, financing your business through a FinTech lender like Lendingkart may be a better alternative altogether. 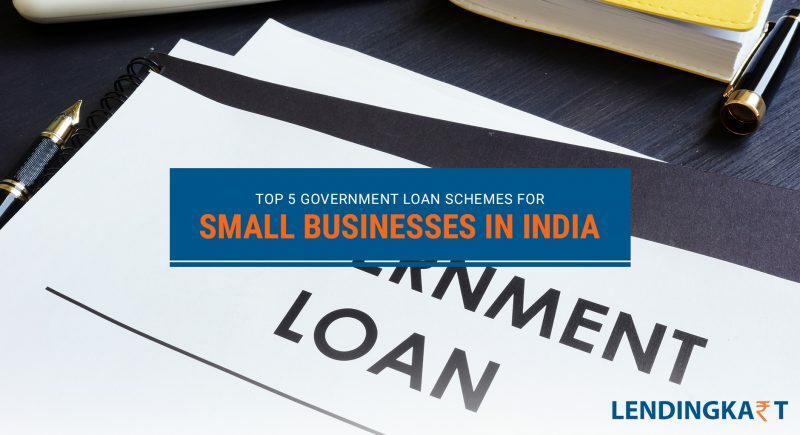 Non-banking financial companies offer business-friendly financial products and services, and are better suited for small and medium enterprises looking for business loans up to ₹ 1 crore. Want to apply for a business loan with Lendingkart? Check your Eligibility. Indian economy has stayed robust for the past few years. Global credit rating agencies continue to display confidence in the Indian economy and the government is also optimistic about meeting its fiscal targets. This in turn has prompted the government into taking on some bold reforms to the Indian economic system in the past. In yet another move, the government has announced through the Ministry of Finance that it is lowering the rate of deemed profits under the presumptive scheme for businesses. This is good news for small and medium enterprises operating in manufacturing, wholesale, retail and trading. 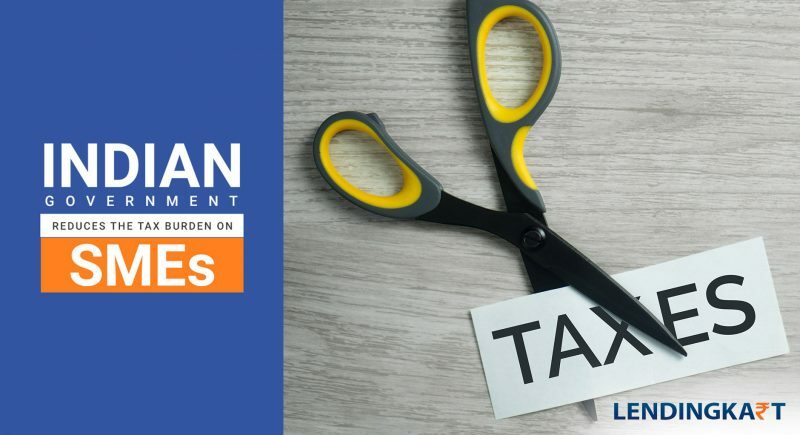 Earlier, when a business opted for the presumptive scheme of taxation under section 44AD, 8% of its total turnover or gross receipts was taken as net income chargeable under tax. However, the government has announced a new incentive for businesses wherein they can reduce this tax rate to 6%. How you can reduce the tax on your business income under the new scheme? Well, going digital and creating a low cash environment is one of the government’s primary economic objectives. The new scheme is an incentive for small and medium businesses who conduct their business transactions through electronic mediums. A statement by the finance minister also reflected this sentiment as he noted that small businesses can save up to 30% in taxes by availing this scheme and going cashless. To take the benefit of the scheme the precondition for traders and businesses is that all their payments should be through digital means. Hence, the deemed profit rate shall be reduced from 8% to 6% for those who satisfy the pre-condition. Who can benefit from the scheme? SMEs which have already moved to digital transactions will benefit the most from this scheme. The tax rebates are being given with a retrospective effect. So, if your business has been accepting payments through digital transactions since 1st April 2016, you can claim tax benefits under the scheme up to 31st March 2017. Consequently, if you have missed that opportunity, there is still a silver lining for your business, as you can benefit from the scheme by moving your future transactions through electronic modes. One caveat of the scheme is that all transactions done through cash are still liable for taxation at 8% under the deemed profit presumptive taxation scheme. The following table shows how a business can save taxes under the new scheme. So, by going the digital route, a small business owner can save as much as 72% in taxes through the new presumptive tax scheme. Such a margin can be a huge relief for small business owners and Kirana shop owners who operate at very thin profit margins. A legislative amendment in this regard was carried out through the Finance Bill, 2017. Since this scheme is aimed at bringing more transparency to the organised and unorganised small and medium business sectors, there are several other financial benefits for SMEs as well. Raising Capital through Investment will become easier for small business owners as the profit margins improve. An investor will be more willing to put his money in a business with healthy profit margins and support from the government of the day. Getting Unsecured Business Loans through banks and NBFCs is also supposed to get easier for SME owners with an increase in their profits. However, here non-banking financial companies are positioned better than the banks. Traditional banks in India are simply too slow for the digital initiatives whereas NBFCs like Lendingkart Finance have already embraced digital finance, here’s how. Lendingkart offers business loans online through their website and mobile app. From application and document uploads to tracking, approvals and funds transfer, everything is done online. An SME can get a business loan within 3 days’ time. Digital financing allows Lendingkart to offer lower interest rates on business loans, reduce processing charges and waive off prepayment penalties. Instant refinance available upon closing an existing loan. Raising credit rating is another side benefit of the new scheme as more profits means less credit liabilities and subsequently a healthier balance sheet. This will raise a business’s credit score and help secure more financial resources for growth and expansion. All in all, the new scheme is a very good incentive from the government and shows the ruling dispensation’s eagerness for market reforms. Small and medium business owners are set to gain from this scheme both in short-term and long-term. It would be good if the government can extend the benefits of these schemes to professionals taking the benefits of the presumptive tax scheme. However, one step at a time does the trick and we applaud the finance ministry’s proactive approach to business development in India. Moreover, the financial benefits of the scheme such as easy small business loans and growth in investment prospects are definitely positive steps for the economy and the people. All startup businesses begin with exciting new ideas and high hopes. However, it is also an unfortunate fact that most startups run into unforeseen financial and operational difficulties within the first year of their operations. Business researchers often point to a number of reasons that are responsible for the failure of a promising new venture. Yet, the fact also remains that most of these difficulties arise due to inadequate capital. Capital is the basic requirement for running any venture and no business can be expected to thrive if it does not have proper financing. That is the reason why the concept of investor funding is so strongly embedded in the startup scene. But, raising funds is not only a tedious exercise, it also determines the future of a startup venture. For instance, you may lose the control of your business by giving up a large stake in return for capital funding. 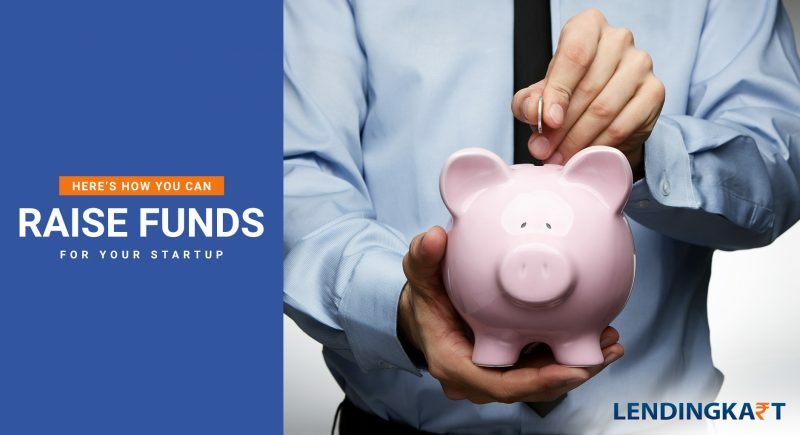 There are a number of ways you can raise funds for a startup business, such as bootstrapping or self-funding, crowdfunding, Angel investment, venture capital, working capital loans, and government programs that help MSMEs. Every one of these methods has its own pros and cons. Let’s have a look. So, now that you know about the various ways of raising capital for your startup business, the obvious question that needs asking is – which one is the best? Well, if you are looking for a quick and hassle-free funding, it means you have already tapped in bootstrapping sources. So, the next best thing here will be getting a working capital loan from an NBFC. Non-Banking Financial Companies offer loans for business without requiring a collateral. NBFCs are also business sensitive and hence provide quick business loan approvals and disbursements in comparison to traditional banks. For example, a bank may take up to 15 days to process your business loan application whereas you can get a business loan approval within 72 hours by applying with an NBFC like Lendingkart Finance. Working capital loans for business come with the added benefits like a flexible EMI schedule, lower interest rates and zero prepayment charges. If you are a budding entrepreneur, these benefits can be a godsend for your business. For instance, the ability to customize your EMIs allows you to plan your repayment in tandem with your invoicing cycle. Lower interest rates mean you are not losing precious capital in interest payments. Finally, if at any stage your business starts generating expected profits and you wish to repay your business loan in full, there are no prepayment charges, fees or penalties. Raising funds for business establishment and growth is always tricky. There are a lot of checkboxes that you need to tick before getting the capital you need. Furthermore, some of the most popular startup funding measures are also the most crowded ones as other entrepreneurs are also having the same funding ideas. Whereas getting funds by giving away equity has its own pitfalls in the long-run and can leave you without any control whatsoever over your business. Alternatively, you can get a bank loan for funding your business but that process is also marred by slow processing, bureaucratic red-tape and the huge risk of collateral loss. 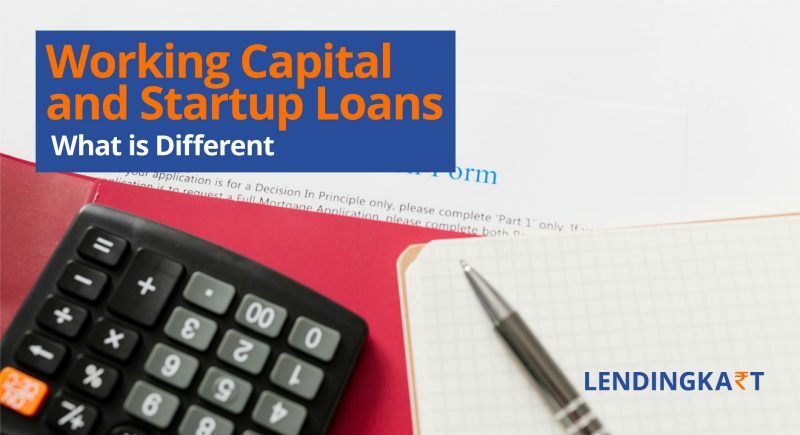 So, amidst such tedious and discouraging scenarios, getting a working capital loan or a business loan from an NBFC like Lendingkart is the most plausible alternative for funding your startup. Add to that the many benefits of NBFC business loans, and the fact that you do not have to give away control over your business for getting working capital funds, and you have a winner on your hands. As we very well know, the public and private sector banks in the country are burdened by an unprecedented NPA problem at this moment. As a domino effect, correctional measures taken by the banks has made it harder for small and medium enterprises to get business loan approvals. Also, banks in India still lack business specific products and services, which makes loan application a cumbersome and time-consuming process, which is the opposite of what 21st century businesses need. On the other hand, the Indian economy is booming and there is a start-up boom, which means there is an increased demand for small business finance. This disharmony in demand and supply has given rise to FinTech lending, a new age medium of small business finance. FinTech lenders like Lendingkart Finance stress on a customer centric business model, where the customer has to make the minimum effort possible to get business finance. The idea is to help business owners focus on growth of their enterprise rather than being burdened by financial worries all the time. Here are the salient features of FinTech finance which make companies like Lendingkart, the go-to financial solution for small and medium business owners in India. Where banks and traditional financial institutions require a ton of physical documentation before a loan application is put into processing, FinTech firms have a completely online business loan application process. A simple upload of soft copies of essential company documents is all that is required to start a business loan application. Check the KYC documents – what you have and what is needed. As mentioned above, the online loan application can be completed in a few simple steps, involving an eligibility check, application submission, evaluation and sanction of loan value, and disbursal. A business owner can track his/her loan application status anytime by logging into the FinTech loan account. Unlike bank loans, FinTech loans are cleared faster due to use of patented big data technologies and a combination of online and offline verification processes which save valuable man-hours. The loan funds are released directly into the business account of borrowers instead of issuing cheques or demand drafts. To give you an example, Lendingkart Finance, one of India’s top FinTech lenders, clears funds within 3 days of application approval. In many instances, a small business may become profitable sooner than original predictions and may want to repay the loan in full. A bank will usually charge a penalty for early repayment of loan to make up for loss of interest. However, FinTech with its cost advantage has no such provision. A borrower can prepay the loan in full with no extra charges. Furthermore, traditional banks and NBFCs generally have an array of hidden costs and charges that are deducted from the principal amount, leaving a small business owner well-short of the funds he/she expected. FinTech lenders on the other hand only have a provision for 2% as processing fees and no other charges to be deducted at all. 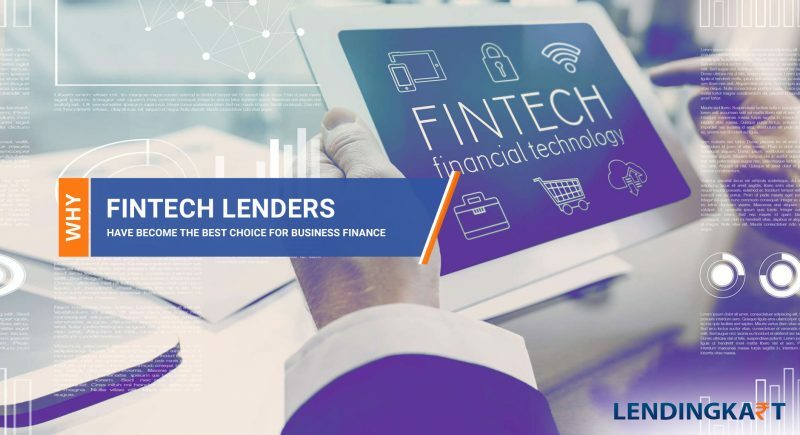 So, it is no surprise at all that business owners are moving towards FinTech lending to get working capital loans and business expansion loans, as these new-age lenders offer faster and more reliable business loans and services for the digitally connected businesses of the 21st century. A small business owner is always striving to give his/her business the right environment to thrive. Here, environment implies having a good workplace, hiring efficient employees, getting the right equipment, developing fruitful relationships and most important of all, gaining access to proper financing and working capital. The last point is most important because every business needs money to operate and without a proper inflow and outflow of cash, any business will eventually suffer. Incidentally, inadequate access to working capital is the reason behind failure of most small business enterprises in the country and the world today. In this post, we are sharing some tips that will help you enact financial discipline for your SME. To tip you off, these pointers explain the advantages of good accounting practices that keep your finances streamlined and readily available for use. Practice Strict Bookkeeping: The cardinal rule for running a successful business is to keep accurate records of all the transactions happening on a day-to-day basis. Financial records give you an accurate picture of your income and expenditure, debts, and, accounts receivables. Which in turn help you in tracking income, paying liabilities, and filing tax returns on time. Deploy Integrated Accounting Systems: The reach of technology is extending every day and a small business owner will do well to embrace a modern accounting system to integrate his/her small business with the digital economy. Accounting software are in use by most large scale businesses toady and their benefits are time tested. 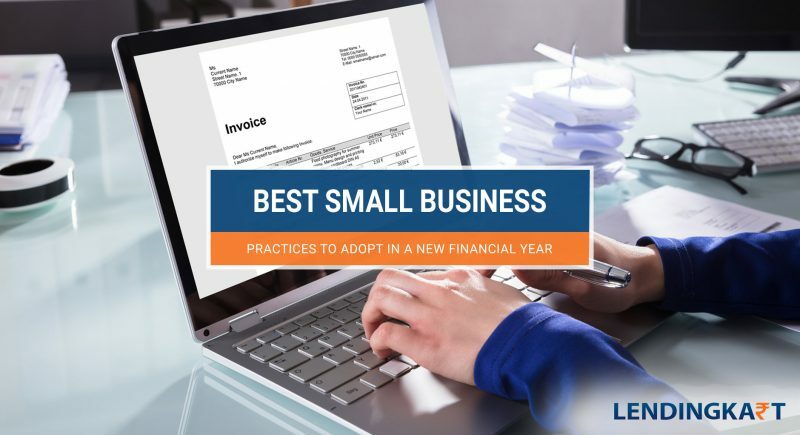 As a small business owner you can also utilise these systems to save accounting costs, improve financial accuracy, and reduce the chances of theft and fraud. Track your Invoices: Getting paid for the work you have done is all that matters at the end of each day as a small business owner. If you are not getting paid on time, your employees are not getting paid on time, your equipment is not being serviced on time, your rental and utility bills are not paid on time and so on and so forth. Therefore, it is important to have an active invoice tracking system in place. Moreover, generate your invoices as soon as your product or service is delivered instead of waiting till the end of month, this will speed up your invoice clearances significantly and give your working capital a boost. Follow Generally Accepted Accounting Principles: GAAP are accounting techniques that are pursued by leading accounting and auditing firms and are accepted as a standard procedure in the financial world. By following these principles on reporting and disclosure of financial statements you will not only be able to draw quicker financial decisions but will also instil confidence in a lender or investor for raising funds. Use Small Ticket Finance for Working Capital: As enumerated at the beginning of this post, having enough money to run daily business is one of the primary concerns of a small business owner. It is quite possible that your business will run into temporary working capital difficulties at the beginning. In such scenarios, never dip your hands into the capital earmarked for equipment or assets to use as working capital. This a vicious cycle which may never end and cause your business to lose precious competitive edge as you fail to invest in proper assets because you used up that capital as working capital. Instead, apply for a working capital loan to finance your short term needs. There are many fintech firms like Lendingkart who offer working capital loans at low interest rates in India. These business loans are short-term, typically one year in duration, and have flexible EMI options to make repayment easier. In conclusion, financial discipline is necessary if you want your small business to be profitable. The online world offers a lot of tools that you can utilise to bring in transparency and accountability for your small business. Furthermore, online financing options have made it way easier to get working capital loans for a small business and you should utilise these opportunities pro-actively for sustained success in your venture. To know how to apply for a small business loan from Lendingkart, click here. For running your own business in India you require a string of statutory compliances and remember to pay the attached fees and taxes. Even after the implementation of GST last year, the Indian taxation system remains complex as ever and your business ends up paying a significant amount in taxes to the government. 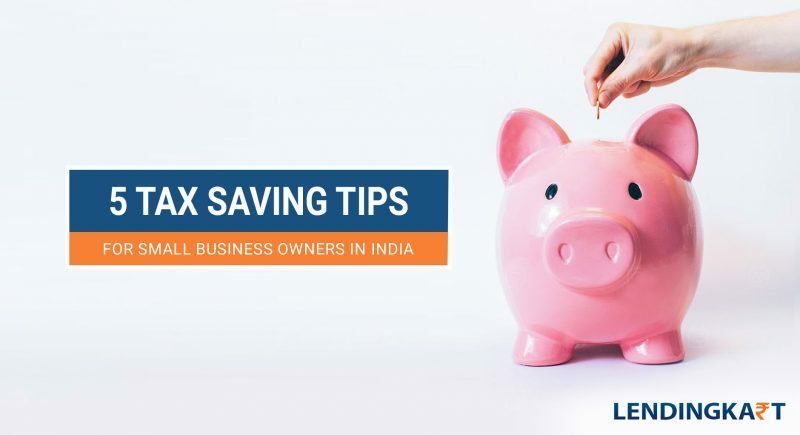 Today, we are sharing 5 tax saving tips for Indian business owners, including best practices to help you earn more from your business venture. If you have an active home loan, you can claim its interest to be a deduction from house property and claim the principal as deduction under Section 80C (limited to a maximum of Rs. 150,000). This will effectively reduce your overall taxable income by reducing your ‘income from house property’ in ITR. You can also claim the taxes paid to your municipal corporation or municipality as deductions under income from house property. You simply need to keep a record of the payments and copy of receipts. Electronic payment of municipal taxes ensures that your bank account have the necessary proof in case you damage or lose the receipts. Since most small businesses in India are labour intensive enterprises, they are used to pay wages in cash. Sometimes, as much as 40% of a small business’s manufacturing expenses may be going into direct and indirect wages. If your business fails to keep track of these expenses, then your profit margins increase because of unrecorded entries in your expenses account and you are liable to pay more taxes. So if you have been neglecting bookkeeping for a while now, it is time to take a closer look at the state of affairs in your accounts department. You can also take help of a free accounting software to make matters easier. The Income Tax Act allows a claim of additional 20% depreciation on new machinery installed during the year. The provision meant for the benefit of certain notified industries under the Section 35AD and it is only applicable for the first year of a new machine or equipment’s operation. By claiming the additional depreciation @20% you can claim save that amount as expenses incurred. There are certain transactions which require you to deduct the tax at source, such as payments made as commission to your business agent or a freelance employee. If you fail to deduct the TDS the whole amount becomes inadmissible for claiming tax rebates. So make sure that you keep track of all such transactions and deduct tax @10% for them. So these are some tips / best business practices which will allow you to save more by reducing your tax burden. In case you have been a little less prudent with accounts management in the past, it is never too late to adopt these practices. In the meanwhile, you can also apply for short term business loans to get out of current financial troubles and start your business’s recovery. To know more about fast business loans, click here. Did you know that you can save a lot of time and money by adhering to smart accounting? Most small business owners do not always prioritize accounting, as there are other tasks on their to-do list which seem more urgent. However, there is a reason behind accounting being a separate arm of business management, accounting enables efficiency and transparency in business operations. Nowadays, the integration of IT solutions with business operations means that a small business owner can easily manage cash flow, invoicing and payrolls with automated accounting software. 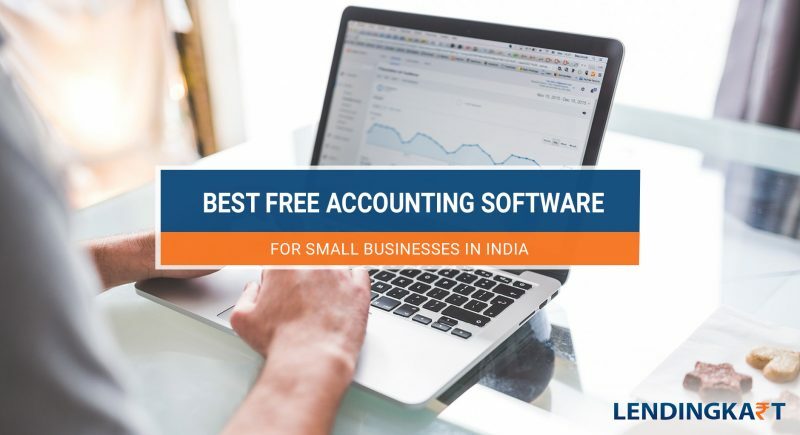 Here we are sharing a list of best free accounting software for small businesses that you can test and deploy for your enterprise. A popular choice among small business owners, ZipBooks simplifies accounting with an easy-to-learn interface and some powerful accounting features. The ZipBooks starter option is free and lets you create unlimited invoices for any number of vendors and customers. You can also connect your bank account to the software and manage your business’s bank account. Developed specifically for use in India, the Marg Accounting Software is totally free to use and offers a comprehensive list of accounting features such as ledger management, cash flow control and preparing detailed balance sheets. The software also integrates various forms required by Indian Business Law for e-filing of tax returns online. Tally remains the most popular accounting software in India. It has a free version which you can utilise to manage accounts and keep track of your finances. There are many institutions offering Tally courses in India, so using this software also gives you ready human capital to invest in. It us a cloud based accounting software which can be accessed from any device anytime. The free version of Profitbooks allows bookkeeping and invoicing to give you accurate accounting information. You can also connect to the Profitbooks Live Chat to learn about its advance features. This is an open-source personal and financial accounting software. Open-source softwares are community managed, hence they receive updates more frequently and a large community of devs means new features are available more frequently and bugs are removed quickly. However, open-source software may sometimes (although it’s rare) crash and cause data loss. The GnuCash is free and available for Linux, Mac OS X and Microsoft Windows. Digital banking is fast becoming the new normal in India. While there is still a lengthy road ahead for total digital integration of the financial sector, at least the ground work is moving apace with latest technologies such as credit cards, net banking, e-wallets and now UPI as well. Digital banking is also helping businesses manage their finances in a more transparent and accountable manner. Business managers can now assign daily, weekly and monthly working capital to their executives and keep track of the expenditure in real-time through mobile app based ecosystems. Online banking is facilitating on-the-go money transfer for businesses, giving a veritable boost to their operational agility and saving many man-hours worth of productivity. Going digital also means that all your financials can be verified through online processes, making it easier to get business loan approvals. For example; e-statements of accounts are now accepted by most financial institutions. 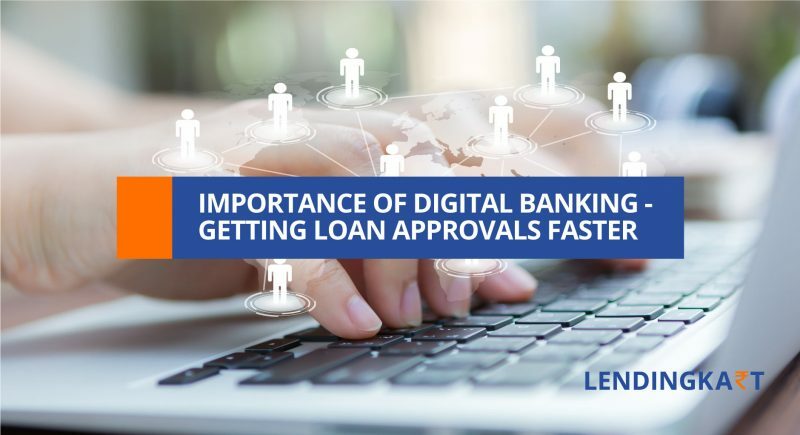 Non-banking finance companies such as Lendingkart Finance offer online business loans by evaluating your digital bank statements, keeping the whole process of application to approval of a business loan online. You can also renew your loan upon repayment by simply clicking on the renewal link in your Lendingkart account. You will receive the pre-approved amount without any paperwork or processing fees when you avail this facility. Here are the steps which will help your business in going digital and enable faster loan approvals for you. Link your Aadhar Card Number to all bank accounts, PAN, and company records. Get digital copies of your business incorporation certificate, TAX compliance reports, GST filing and KYC documents. Save these files in a secure cloud service such as DigiLocker. Keep a track of your CIBIL score, and take steps to improve it further. A CIBIL score above 750 evokes a lender’s confidence in your business. Use online business loan platforms such as Lendingkart Finance to obtain faster working capital loans in India. Lendingkart also has its own Android business loan app. You can simply download it on your smartphone and apply for a loan within minutes. The app also lets you keep track of your loan’s repayment and EMI due dates. So, digitise your business today and avail all the benefits that come with it. To know more about Lendingkart interest rates and business loans, click here. Small businesses are increasingly moving towards online business loans and finance options for expanding their operations. Online lenders offer several benefits over financing from commercial banks, such as Flexi EMIs and quick short-ticket finance. This has made these non-banking financial institutions the choice of modern MSMEs. For example, today, non-banking financial companies like Lendingkart Finance are disbursing working capital loans and unsecured business loans across the country whereas banks are limiting their commercial lending activities. The one element that defines importance of finance is its timely availability. If you fail to get the requisite funds within the time frame available to you, either the opportunity will be lost or the same activity will cost you more. Since a majority of small business owners are applying with them, banks take their own time in scrutinizing business loan applications. Thus, the process of loan approvals is slow. NBFCs, on the other hand, specifically cater to the MSME finance. Therefore, they are prompt in completing documentation, verification and disbursals. E.g., Lendingkart Finance promises loan amount disbursal within 72 hours of documentation. The reason why an NBFC like Lendingkart can approve loans faster is the online only loan application process of the company. Every modern business has access to digital copies of requisite loan verification documents such as PAN, Aadhar Card, Bank Statements and ITR Certifications. An online lender can thus quickly verify the statutory status of your enterprise and disburse loans where traditional banks continue to struggle with filing and manual paperwork. In an online process, the lender can verify your business and personal information through government’s online portals, hence there is no need for excessive paperwork and documents to be submitted. For example, Lendingkart offers business loans by verifying only the essential documents for identity, address, incorporation and tax compliance of your enterprise. The completely online business loan process allows lenders to cut costs associated with manual work, and they are more than happy to pass you the benefits. So, expect lower business loan interest rates, flexible EMI options and reduced processing charges when you get a business loan from an online lender like Lendingkart Finance. If you are planning a business expansion soon or want to streamline your daily operations with a working capital loan, visit our website; www.lendingkart.com, and sign up for a quick quote.